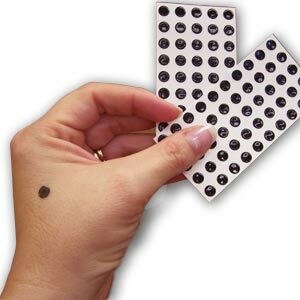 Biodots - Regular Temp (100/pack) - Biodot® of Indiana, Inc.
** Every order of Biodot® Skin Thermometers includes one free Biodot® Starter Pack containing: 30 Color Code Cards, 1 Color Code Poster and 1 Biodot® Instruction Guide. Quantity discounts will be automatically calculated when you check out. Be the first to review “Biodots – Regular Temp (100/pack)” Click here to cancel reply.